Approved class FFP2 protective mask, for protection against health-hazardous dry and liquid-borne particles. 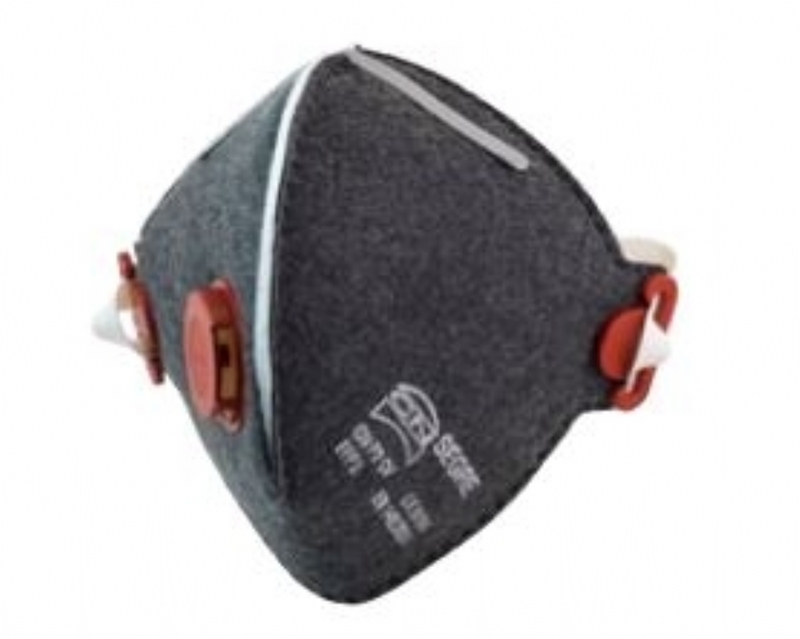 The CN P2 CV mask incorporates a layer of activated carbon that effectively removes strong or unhealthy odours. It is also fitted with a valve for exhalation, which helps to reduce the temperature in the mask, reducing condensation and moisture build-up. Typical application areas include welding or the presence of welding fume, extreme sanitation and clearance work, etc. CN P2 CV masks are packed in individual hygienic plastic bags, with 15 in a box and 150 in each transport case. Order 10 or more at a price of £44.00 per item. Order 20 or more at a price of £41.00 per item.